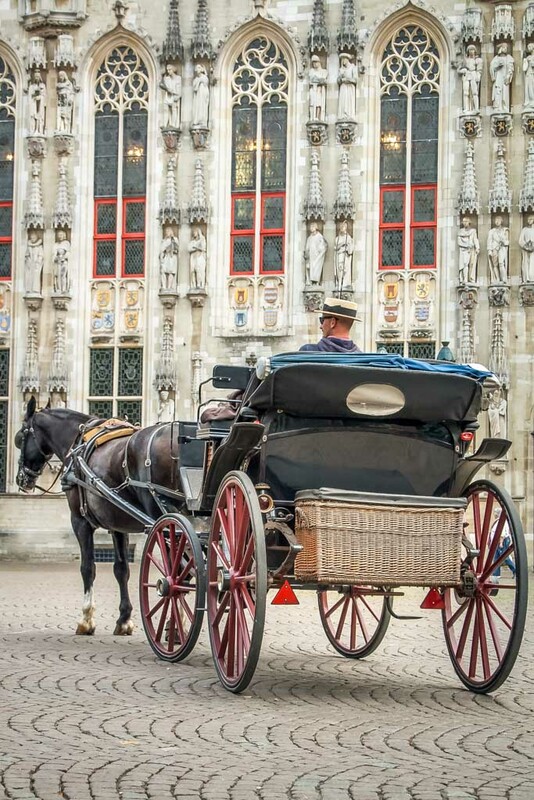 Enjoy a carriage ride through the heart of the city of Bruges, along the canals, and historical small bridges, relaxing to the gentle sound of the hoof beat of the horse. 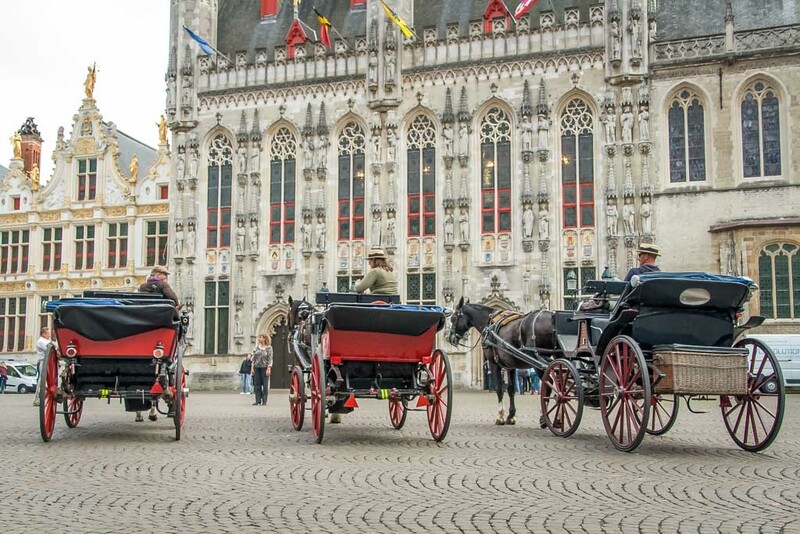 Horse drawn carriage tours are an ideal and extremely personal way to get to know Bruges. 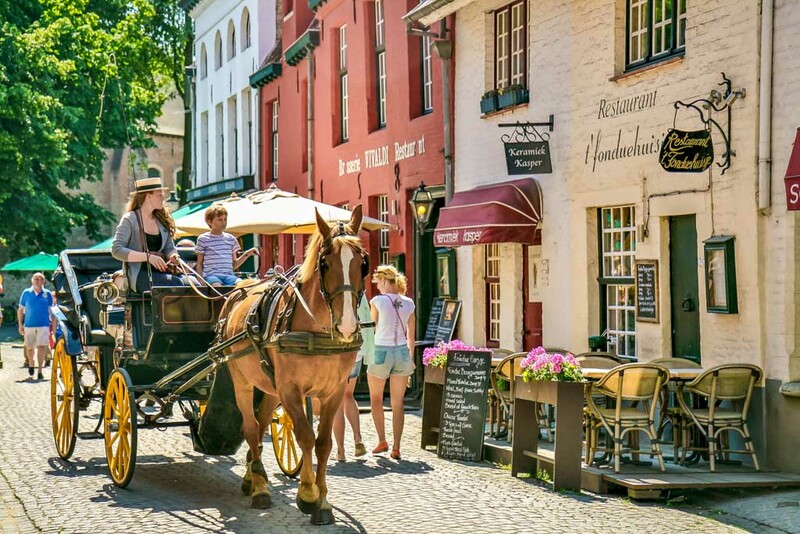 Along the way, you will find many small picturesque corners, several museums and other historic sites. 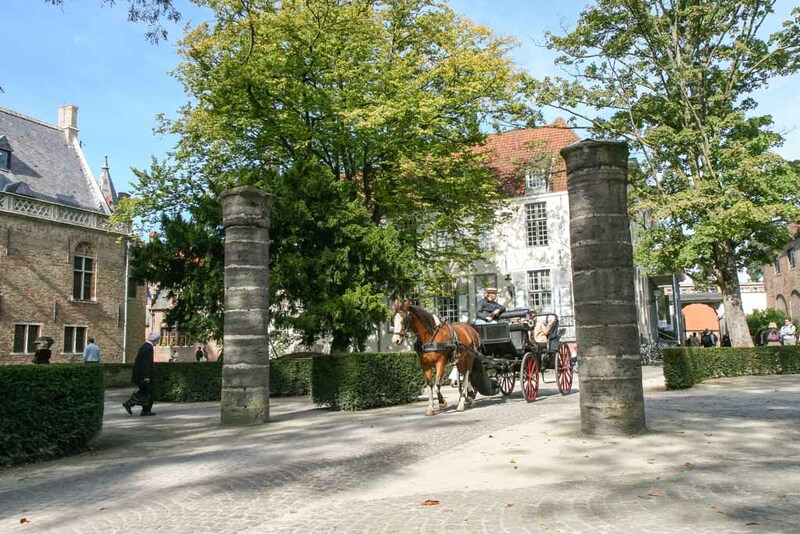 Normally the carriages roll up until they reach the Béguinage and then make their way back. 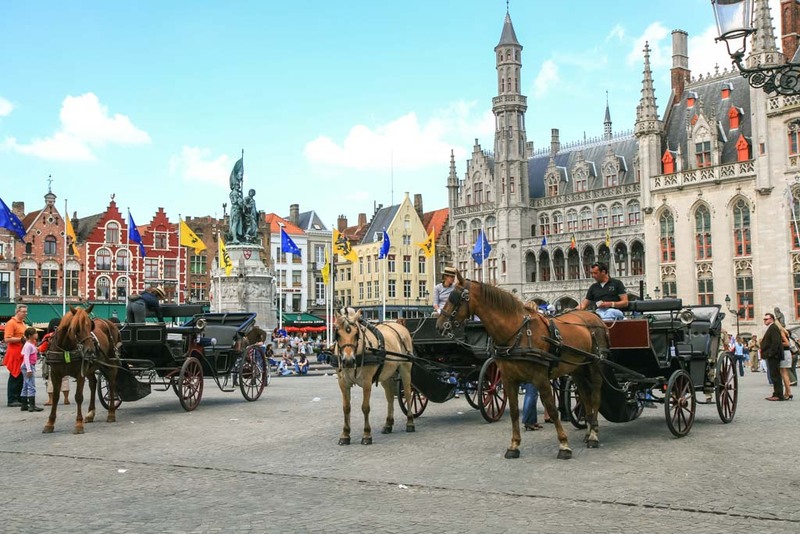 Depending on traffic and current events, the Tourism of Bruges may at times impose other routes. In good weather conditions, the carriages roll also at night under the magical glow of the lights (up until 10 pm). 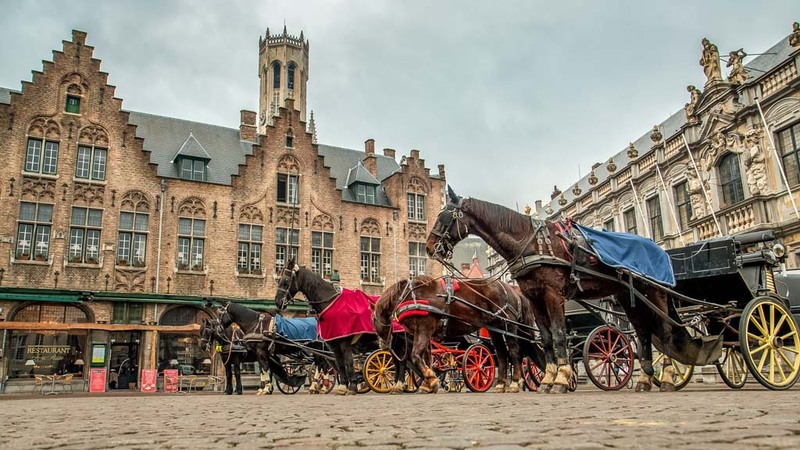 A romantic and individual tour in the heart of Bruges' medieval centre along the canals, over the typical small bridges on the rhythm of the horse's trot. 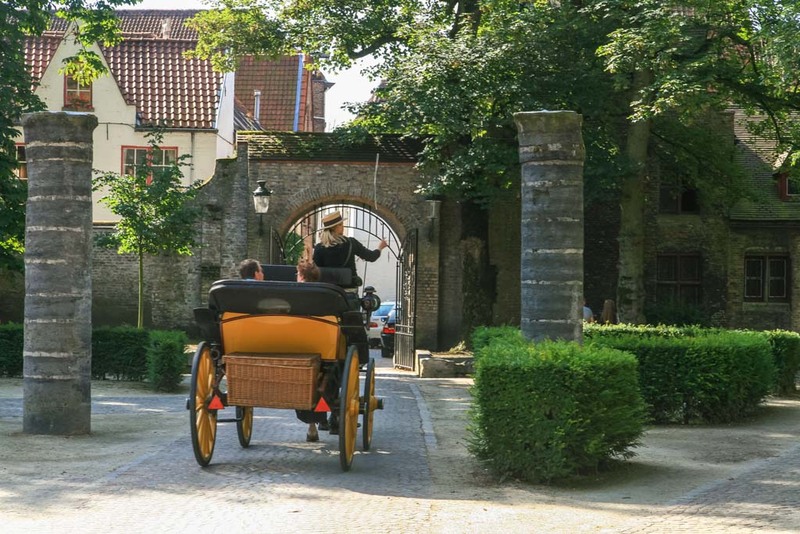 A typical way to discover the real Bruges, where you see picturesque corners, several famous museums and most of the historical sites. 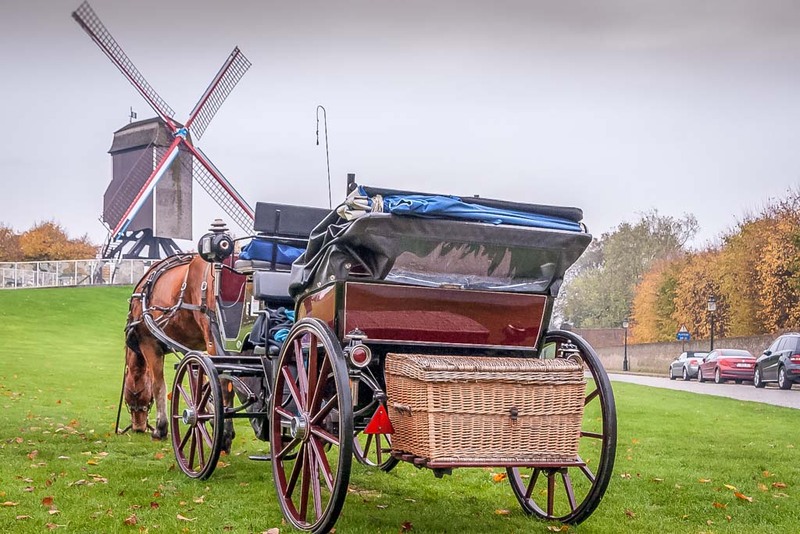 The coachman takes you along Bruges' most beautiful places and gives you information in your language about all the buildings and places on the tour. 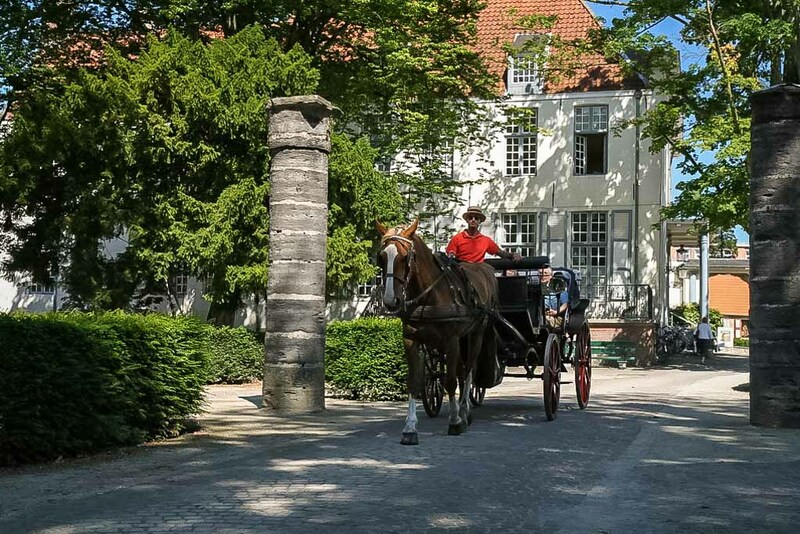 A 35-minute exploration with horse and carriage is an original way of getting to know Bruges. Naturally, it is the perfect way to have a romantic weekend in a illusory city. 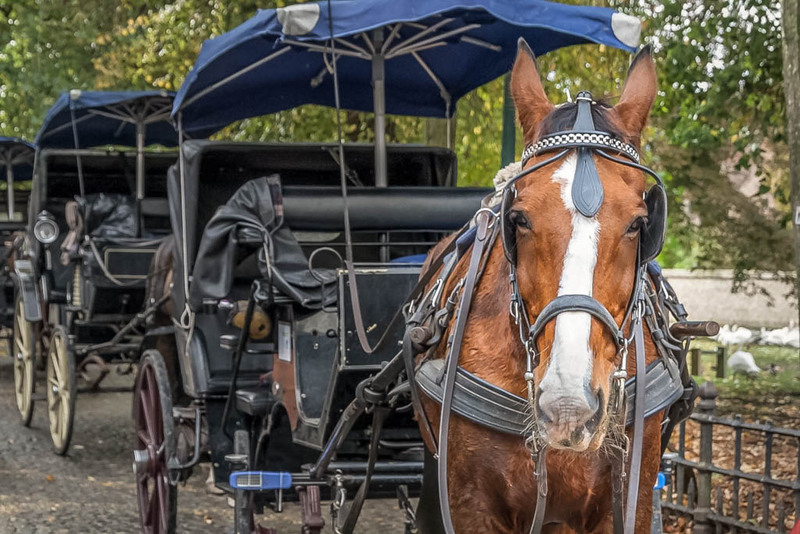 The meeting point for the carriages is the Market square. 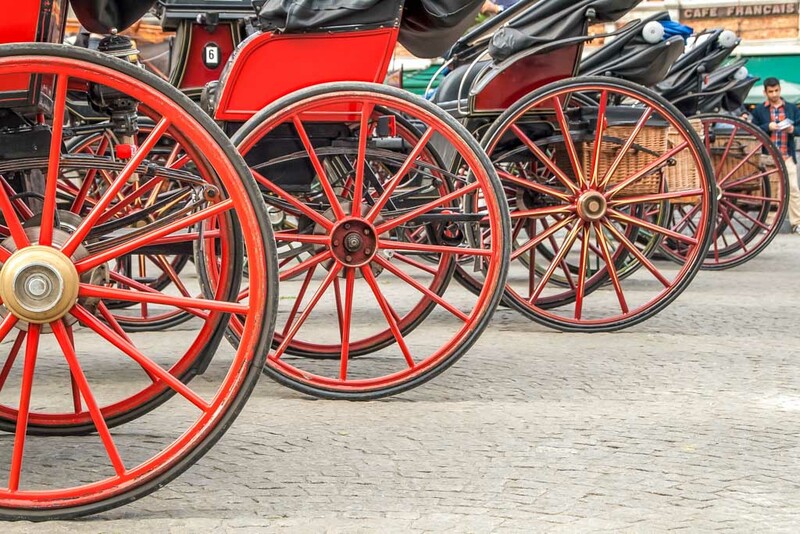 (Departure on Wednesday: Burg Square).There are no carriages when arriving? This simply means they are all still running, it's best to just wait a minute or two.